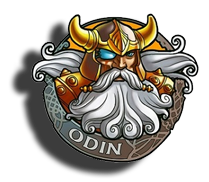 Norse mythology inspirited Hall of Gods is a huge progressive jackpot game that offers no less then three separate jackpots. Is the luck on your side today? Place your bets and get spinning!